There is a LOT of work in assembling this. Getting the spacing correct, cuts right, and so on, takes meticulous attention. 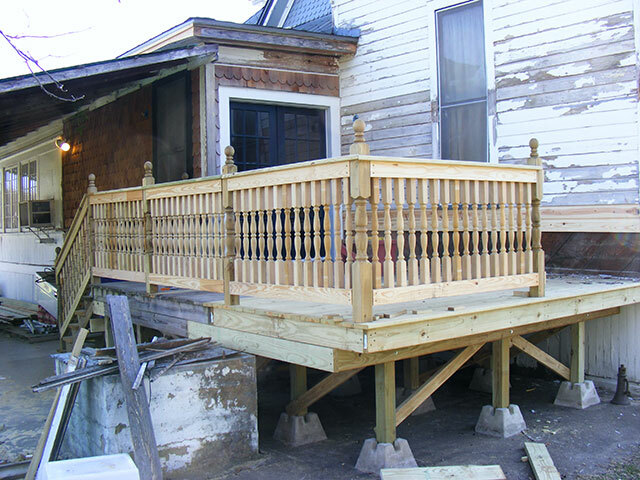 We like the look/sturdiness of this railing. We are pleased with the results. When we got the Old Vic, there was a shed/cover built to the side of the house in this area (look here) that did damage to the siding on either side of the window. There was also several largish holes in the lower siding from the various incarnations of plumbing into the kitchen over the years. 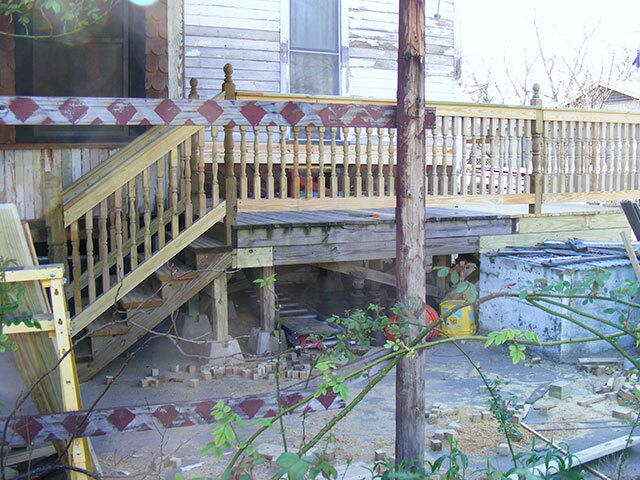 Many had been covered over with tin strips, filled with caulk, or the like and painted over. There were also a number of cracks and splits that would be difficult to repair. This siding closely resembles the current common mill-work of clapboard, but it’s not exact. I cannot get the exact match, (an it’s in cypress too!) so my strategy was to remove the damaged long pieces, salvage enough short pieces out of them to repair around the window, and add new siding to the lower part of the wall. The slight difference in pattern won’t be noticeable as long as there is not a random piece of the new mixed in with the old. 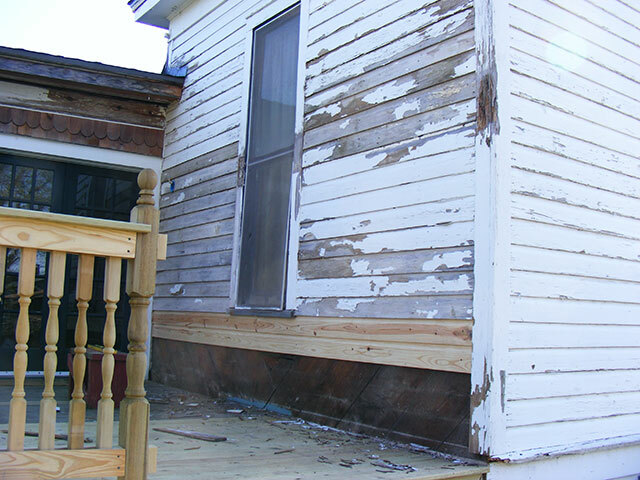 An additional difficulty is that the old siding may actually be hand-milled…not every board was the same width…coverage varying as much as 1/2 inch between boards. While not an issue when siding your way up an entire wall, it matters greatly when trying to insert pieces into an existing location so mixing and matching was needed to fit them into the repair. Sorry for the funky picture…the camera malfunctioned for some reason and this is the only shot I have of it mostly apart. I actually took more down before starting reassembly…7 pieces total around the window (three on one side, four on the other). We also stopped here because I ran out of lumber, and need to get the correct flashing as well. 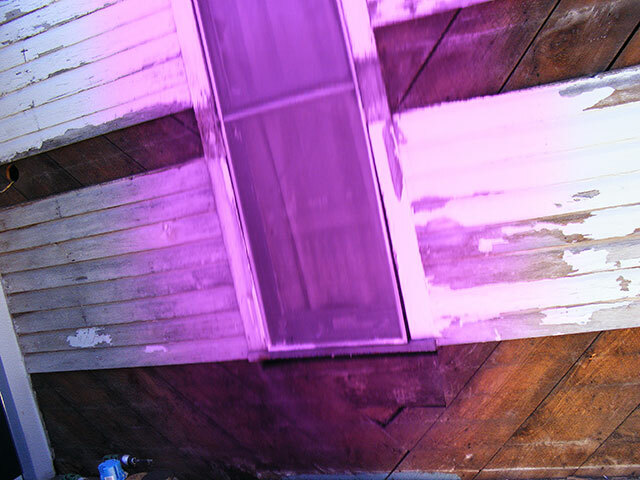 The damaged corner trim and trim around the window I will repair with epoxy or Bondo or the like. 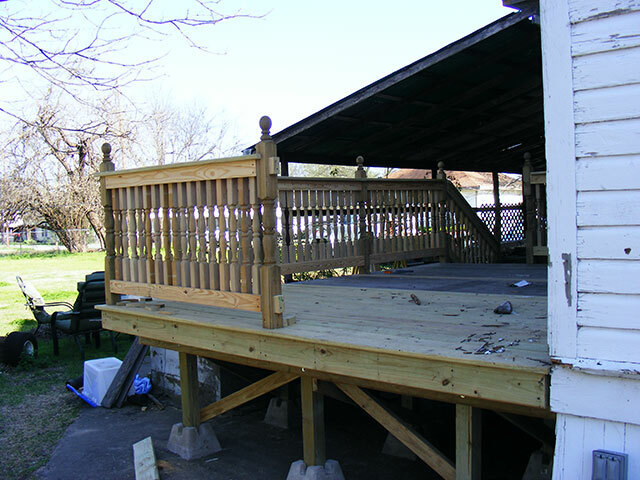 It would be quite expensive to replace as it is true 1″ thick x 6″ wide cypress. This is not a measure of lumber readily available anywhere. 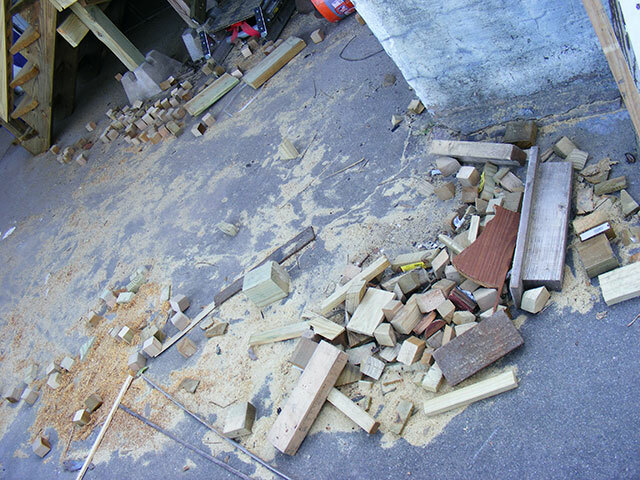 It’s also in remarkably good condition except where the shed lumber had been pressed against it with no flashing. 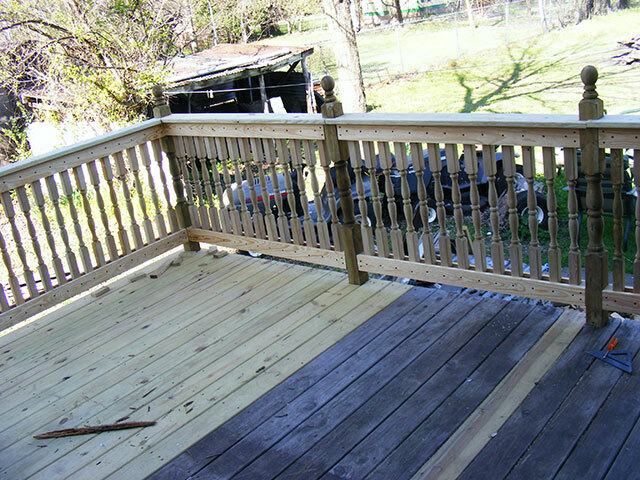 I should finish the deck railing and siding repair next weekend. Lots of cuts to this mess…one of several piles of scrap from this project. The remains of the day…LOTS of cuts!